Weighing just 3g and measuring just 2mm thick the Skey3.0 opposite truly lightweight titanium multitool offering a wide variety of functions. Watch the demonstration video below to learn more about the minimalist multitool which is this week launched via Kickstarter and is now available to back with early bird pledges available from $16. Anvil’s Original The creators of the Skey3.0 multitool explain more about the inspiration behind the keyring tool and their manufacturing process. – We started designing Skey multi-tool about 2 years ago, and after 3 campaigns with 2 generations of development, we learnt a lot about manufacturing, and got a lot of great feedback from our backers. – So based on our backers’ feedback, we want to make Skey even easier to carry, more effective to open bottle, and more pocket friendly. – Meet Skey3.0, only 3 grams, super compact, yet super functional. 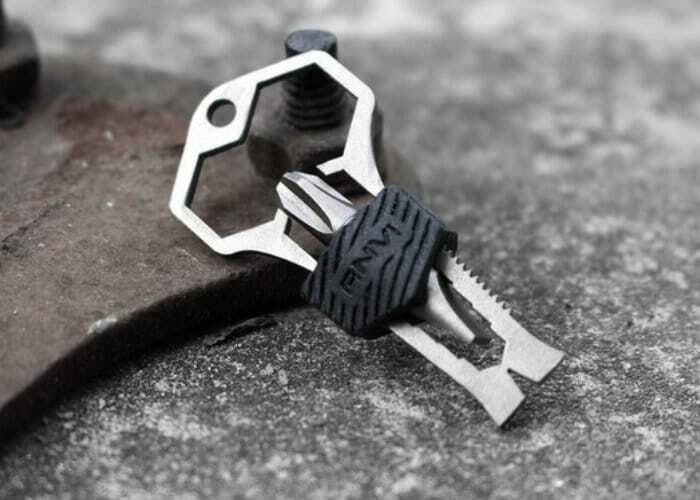 Functions of the titanium multitool include a saw cutter, wrench, screw bit and bottle opener. For more details and full specifications on the Skey3.0 multitool jump over to the official Kickstarter campaign page by following the link below.